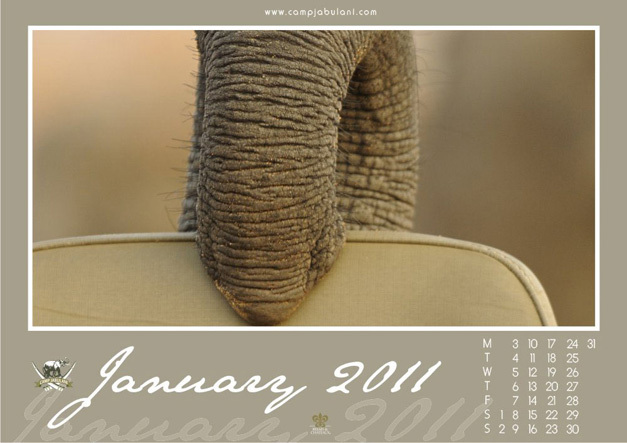 We have five Limited Edition Elephant calendars up for auction. Offers are pouring in for this collection of coveted pictures, which will make brilliant birthday or Christmas gifts when framed. To date our highest bid is $100. So if you’d like to get in on the bidding action, then email us no later than February 28th to stand a chance of getting one of these magnificent calendars. Just in case you need convincing, you can click here to view a PDF of the calendar.